Discuss the function that Jackson saw for himself as President. Explain how Jackson's leadership strengthened and defined "federalism" in favor of the federal government. Be sure to discuss, the Indian Removal Act, his attack on the Second Bank of the United States and the Nullification Crisis. Despite these sectional tensions, the story of America in the early 19th century was one of expansion—expanding economies, expanding territory, and expanding democracy. The man who embraced the spirit of that expansion and to many personified it was Andrew Jackson, who captured the presidency in 182 8. Second, Jackson also looked upon himself as the guardian of the people's interest. He felt by reducing the government's role in the economy, it would make it harder for special interest groups to win privileges. Despite these sectional tensions, the story of America in the early 19th century was one of expansion—expanding economies, expanding territory, and expanding democracy. The man who embraced the spirit of that expansion and to many personified it was Andrew Jackson, who captured the presidency in 1828. Jackson was not intimidated by congressmen, whose acts he felt were too often controlled by small, selfish groups of powerful constituents, and he used his veto power more freely than all of his predecessors. Nor would he agree that the Supreme Court had the final word on matters of constitutional interpretation; he believed that the President's oath bound him to support the Constitution as he understood it, and not as it was understood by others. This is represented with Jackson's war on the Bank of the United States and his lack of action on behalf of the Cherokee Indians. (2) encouragement to monopolistic corporations. between the abilities of one individual over another; but when laws were undertaken to add to these natural advantages (artificial distinctions which would make the rich richer and the poor poorer), then "the humble members of society--farmers, mechanics, laborers who had neither the time nor the means of securing like favors for themselves"--had a right to complain about the injustices of their government. Although, reducing the government's role in the economy made it harder for favored groups to win special privileges, it also gave free reign to irresponsible entrepreneurs in a period of frantic economic activity. What the Jacksonian mentality could not foresee was the degree of which, in a growing country, unrestrained enterprise could lead on to new economic combinations, centers of gigantic power largely independent of governmental regulation. But history is forever pursued by irony. Here the ultimate irony would be that the laissez-faire rationale for republican simplicity eventually became the justification for the growth of unregulated centers of economic power far greater than any ever wielded by Biddle's bank. Jackson's most important and controversial use of executive power was his successful attack on the Bank of the United States. The attack demonstrates Jackson's strong prejudices against special interest as well as his contempt for expert advice, even in fields like banking where his ignorance was complete. Furthermore, "The Bank War" revealed some of the deepest concerns of Jackson and his supporters and expressed their concept of democracy in a dramatic way. It also aroused intense opposition to the President and his policies, an opposition that crystallized in a new national party--the Whigs (more on the WHIGS in the lecture "The Development of the Two Party System). money--that state-charted commercial banks issued with the promise to redeem on demand with gold or silver coins. The bank played its stabilizing role by regularly collecting these state bank notes, returning them to the banks that had issued them, and demanding that the banks convert them into gold and silver coins. With the threat of collection hanging over them, state banks had to be conservative in extending credit in the form of bank notes. As the state banks continued to issue more notes they could redeem at any given time, they were expanding the money supply. BUT, under the discipline imposed by the Second Bank, they had to do so cautiously. During the prosperous 1820s, the Second Bank performed well, maintaining steady, predictable increases in the money supply throughout the nation. Most people did not understand commercial banking, particularly its capacity to enlarge the money supply through the lending of bank notes. Nor did they appreciate the functions of the Second Bank. It was easy to believe that banking was a nonproductive activity and that bankers earned their profits illegitimately through the exercise of special privilege. Various interest groups played on popular prejudices for the purpose of killing the Second Bank. Wealthy New York bankers, including supporters of Martin Van Buren, (who would be Jackson's hand-picked successor to the presidency) wanted to see federal deposits in their banks, and some bankers in smaller cities, including Nashville supporters of Jackson, wanted to be free of regulation by the Second Bank.In 1832, Jackson's opponents in Congress, led by Henry Clay and Daniel Webster, united to impose a political trap on Jackson. Knowing that many Democrats in Congress supported the Second Bank, and that Jackson was opposed to it, Clay and Webster hoped to lure Jackson into an unpopular veto just before the 1832 elections. Consequently, plotted the passage of a bill to-recharter the Bank four years earlier than its original recharter date of 1836 in order to make an election issue out of it. Seeming to fall into the trap, Jackson vetoed the bill. But he accompanied his veto with a powerful message that gained wide circulation. Jackson denounced the Second Bank as a nest of special privilege and of monopoly power that advanced the interests "of the few at the expense of the many," damaging the "humbler members of society--the farmers, the mechanics, and laborers--who have neither the time nor the means of securing like favors to themselves." Finally, Jackson made a connection that was especially damning in patriots' eyes. He emphasized the heavy investment by British aristocrats in the Second Bank. Jackson's charge that the bank was involved with a number of conflicts of interest contained much truth. Biddle cleverly lent funds where the bank would make influential friends. In 1831 alone, a total of 59 members of Congress borrowed from the Bank. Also, during one period Daniel Webster was a director of the bank, its chief paid counsel, its debtor in the sum of thousands of dollars, and a member of the United States Senate, where he eloquently battled for his employer's interest. A good public image was attempted by the use of judicious loans made to newspaper editors to ensure "good press." In his veto and subsequent "bank war," Jackson had a better sense of the public's anti-corporate mood than did the supporters of the Bank. His most fervent supporters came from a broad spectrum of people who resisted industrialization. Jackson also won support for his position from some promoters of economic growth, such as state bankers who had originally supported the Second Bank, but now believed its demise would open the way for more speculative investments by their banks. 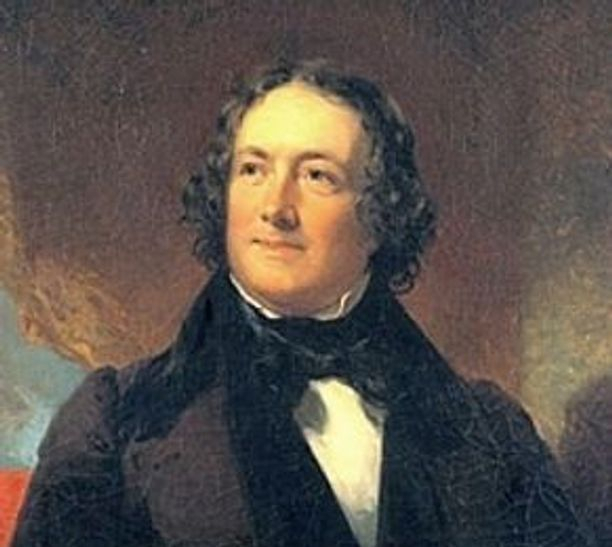 To try to free South Carolinians from the tariff, Calhoun developed a theory of nullification. Calhoun’s theory held that the U.S. Constitution was based on a compact among the sovereign states. If the Constitution had been established by 13 sovereign states, he reasoned, then the states must still be sovereign, and each would have the right to determine whether acts of Congress were constitutional. If a state found an act to be unconstitutional, the state could declare the offending law nullified, or inoperative, within its borders. The Senate debated the tariff question (and the underlying states’ rights issue). Senator Daniel Webster of Massachusetts opposed nullification and South Carolina Senator Robert Hayne aired Calhoun’s views. In 1832 the issue of states’ rights was put to a test when Congress raised tariffs again. South Carolinians declared the tariffs of 1828 and 1832 “null, void, and no law.” Then they threatened to secede, or withdraw from the Union, if customs officials tried to collect duties. In response, an outraged Jackson urged Congress to pass the Force Bill to allow the federal government to use the military if state authorities resisted paying proper duties. A bloody confrontation seemed likely until Henry Clay forged a compromise in 1833. Clay proposed a tariff bill that would gradually lower duties over a ten-year period. The compromise also included passage of the Force Bill. The tension between states’ rights and federal authority subsided—temporarily.